I’m going to try something new this month – organise in advance and set up full workout plans and diet plan that is suitable for everyone. The diet-plan is focused on a vegan diet but it is fully adjustable to those who aren’t quite ready to ditch the animal products. So if you’re running out of meal ideas make sure you refer to your FREE Printable templates (below) and write down your favourite meals for this week! It’s going to be a tough order and there are a few pretty big boots to fill in order to impress some of you guys. Yeah – I know others do something similar but I want to offer simple-to-follow FREE workout plans. All you have to do is follow me (by subscribing in the side-bar) for the monthly workout plans and updates! The workout plans are suitable for all ages and all abilities. Whether you have a home gym or not (I have a post on how to make a simple home gym). So let me know if you want some harder or easier workout plans. Secondly, The food is enjoyable and suitable for all diets. This one might be a bit trickier than the others but I’ll try to add as many options as possible and what you can’t find here you’ll definitely be able to find it on my Pinterest Boards. So..Whilst we say goodbye to Summer, we can also start to workout plans our workout to celebrate the start of the best time of year. Autumn! Workouts to include in your monthly routine, I’ve suggested if they should be when and how you should use your workouts in your month! I’d like to challenge you to try and complete 5 workouts a week so mix and match your favourites! Full Body HIIT. One of my current favourite full body workouts – I hope you enjoy it too! Try this twice a week! Elevate day 27 LEGS. I love leg day – you should too! Try this at least once a week! Elevate day 24 FULL BODY. Try this workout once a week! Upper body STRENGTH. A full workout routine for the upper body using dumbells from 3lbs-22lbs. Lower Body STRENGTH & PILATES. A blended workout perfect for those trying to increase their strength and up their calorie burn. Whatever your diet-plan you can always make room to try something new, style it how you like! These ideas are here to inspire you, so take your pick and get inspired by some of these suggestions. Of course I’ll always promote my own foods first (because I think they’re bloody amazing). But they are specific to what I like in my diet. Relatively high carb, high-fat high protein low sugar. but I have thrown in a few alternatives for you to choose from this month. Banza pasta- 14g Protein and 32g of carbs. If you want to keep your pasta the same, why not try a meat-free mince for a lower fat and more nutritional meal? I personally use Asda’s or Tescos own brand ‘mince’ alternative with diced mushrooms cooked until dry and a diced white onion for even more texture. Learn more about incorporating vegetables into your diet here. Swap your Takeaway curries for a homemade version – The simplest food on the planet. Why not try making your own? * I will update this with a fool-proof recipe that’s vegan, low sugar, low carb and a few other alternatives. Try a Hazelnut Ice cream – This stuff is like heaven in a jar. It’s a lot less sugar, fat and is, of course, dairy free so it’s hard to tell yourself to stop eating this stuff but it’s recommended that you only eat 1/4 of a tub but… I won’t tell if you wont? Try some Linda McCartney’s Sausage rolls – Ok, So they’re not a ‘health’ food but they’re a great alternative for Vegans and Vegetarians and I adore them on a Saturday afternoon after a long run. Try and make it 3 savouries and just one dessert but if you feel like giving them all a try, why not! They’re super tasty and a much better alternative for you than traditional foods. 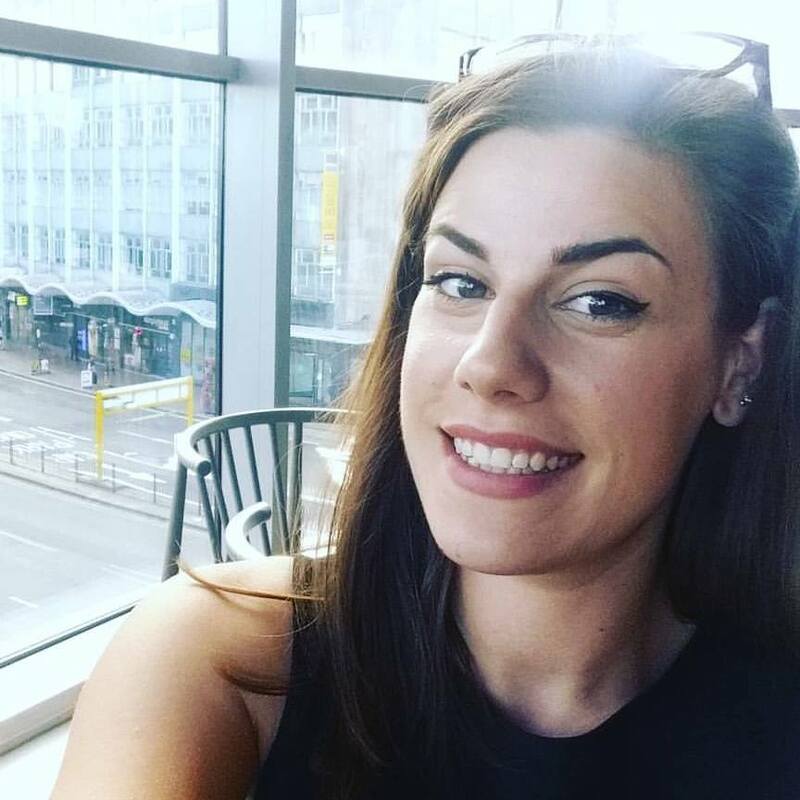 I’ve linked this workout plans and food template for you if you feel you’d like to track your progress. 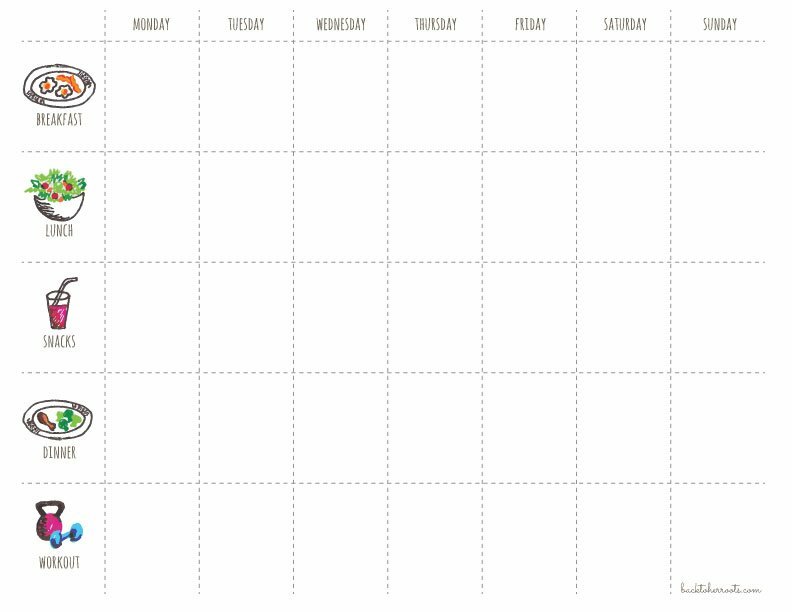 Template from ‘whole-fully.com’ I’ll be making this a series with new foods and workout plans to try for the month (maybe the week) so stick around for the updates! I love fitness blender videos and do them myself at home when I can’t be bothered to go to the gym! These are some really great options for people who are looking to up their work out regime and get their diet back on track – it can be so easy to just want to snack as the weather gets more dismal. Great tips I’m starting to get slowly back into exercise. I am completely out of touch of fitness and need to get into some kind of routine! Great post and lets me follow along nice and easily too! Nice, easy to follow tips for getting more veg in your diet or switching up ingredients, great stuff! I am totally saving this. 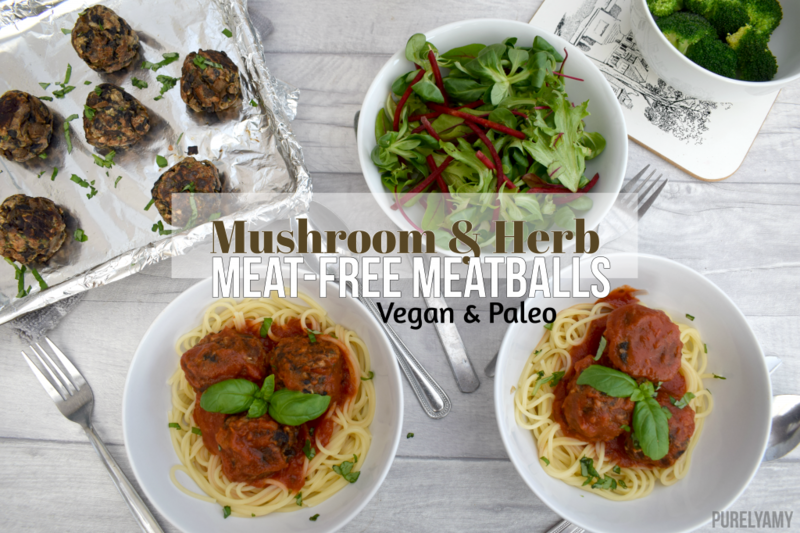 I love the sound of the meat free meatballs and it looks like a healthy and delicious recipe. I’ve recently gone Vegan (or does it make me a pescetarian because I eat fish too?) and I am loving all the vegan mince options. My favourite is Quorn and the texture and taste make it easy to stay on track. It’s easy to get stuck in a rut especially in the lead up to Christmas after summer and entering hibernation mode. Great tips to re-motivate good luck! I love the fitness blender workouts, but sometimes I psych myself out by thinking it will be too hard before I start!! Indeed very informative. I need to get back in shape and back to the grind. Let’s get fit and healthy at the same time. ill have to try a few of these workouts as I haven’t joined a gym yet. I was scrambling to find information that I could grasp easily for September’s meal plan when I finally found your post 🙂 Thank you for making this information so clear and interesting. Good exercise tips that anyone should be able to follow. Great post I’m trying to start eating healthy and plan on exercising each day whilst my son is in pre-school. I’ve got a HITT workout DVD that I’m egar to try.